We started the business in January 2004, in the South Molton Pannier Market on Saturday mornings. 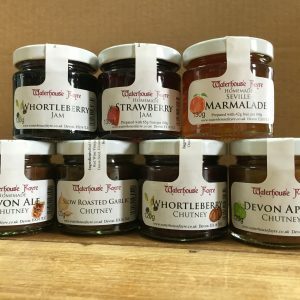 This was a way to sell the jam we made with the surplus fruit we started growing for local hotels and restaurants. 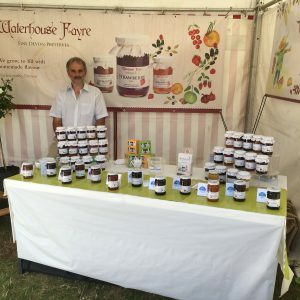 Within two years we stopped selling our fruit as we needed it all for our jams! We ended up extending our fruit patch to 2.5 acres in order to keep up with demand. 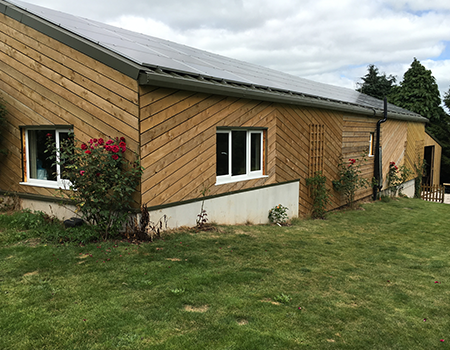 In 2015 we moved from North Devon to a more central location in Mid Devon. This involved replacing a falling down stable block with a purpose made building for the jam business. Still located at home and with even more land for fruit growing and many well established fruit trees into the bargain. 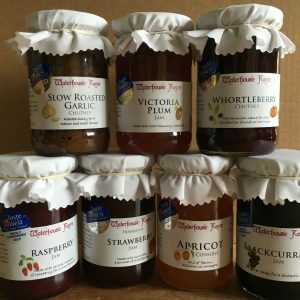 We do now produce a considerable quantity of jam annually, but we still only use small batches in our preserving pans. Everything is made traditionally, as you would if you were making it in your own kitchen. Some of our recipes are third and fourth generation and Ann has created many herself with a modern twist. 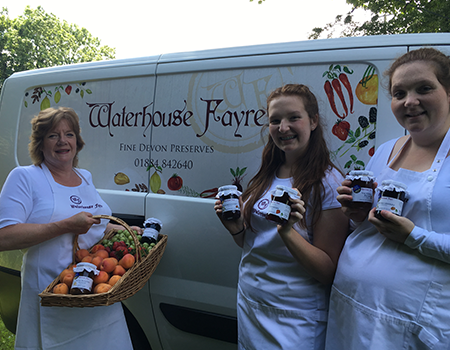 Our produce can be found throughout the West Country in Farm Shops, Delicatessens, Cheese Specialist Retailers and shops placing a great importance on local produce. More recently you will find our jam on the First Great Western trains on the Penzance to Paddington line. During our peak time, the summer when most of the fruit needs picking and a whole heap of other fruit is available, we call in the family. We have a selection of nieces and nephews who come and help not only with fruit growing, but you can also see them helping us on our stand Shows. One of Ann’s nieces has now joined the business full time.